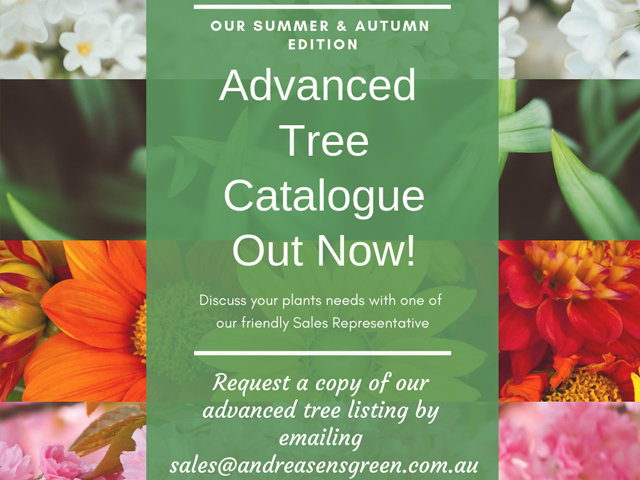 Speciality Trees takes the guesswork out of choosing a feature for your next landscaping project by sharing their ‘hottest feature tree’ recommendations for achieving year-round sensation. 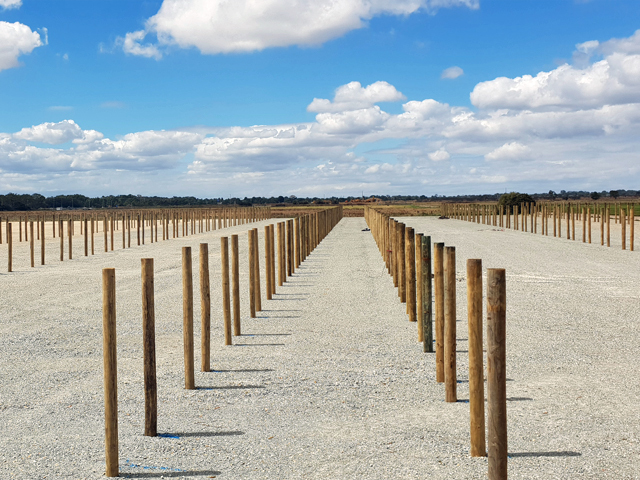 Speciality Trees, a leader in the production and supply of advanced environmentally sustainable, containerised landscape trees for local government, the landscaping industry and retailers, enjoys seeing their nursery, with some 300 lines, grow and change throughout the seasons as their trees mature from junior material to larger specimens. 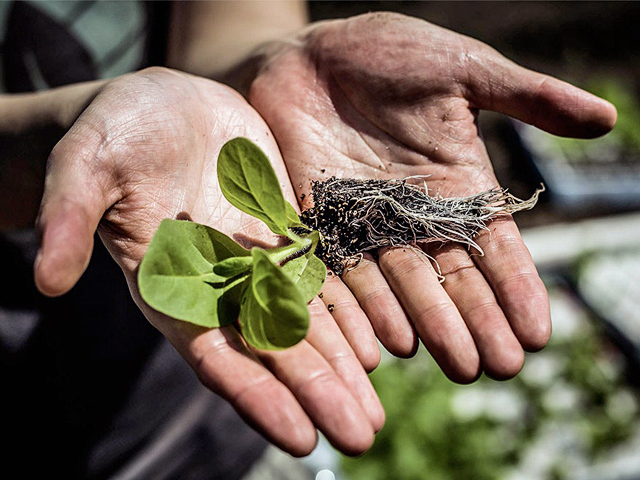 They also take great delight in seeing new interest in trees, both new and old species, as too often designs get restricted to a small trend palette based on functionality. Enter the feature tree! It takes a really special tree with exceptional offerings to be called a feature tree, according to Speciality Trees. Often used to break from single-species screening, to frame an entrance or as a focal point for the eye, feature trees offer amazing colour, structure, texture or form to a landscape. 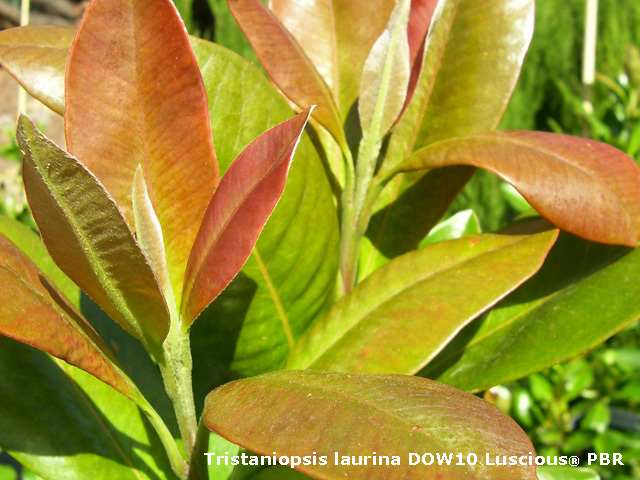 Spring time delight | Tristaniopsis laurina DOW10 Luscious® PBR is an Aussie native with large, dark green, shiny foliage that starts out a distinctive copper colour in spring. Over time branches develop deep purple coloured bark that peels back to reveal a smooth cream trunk. 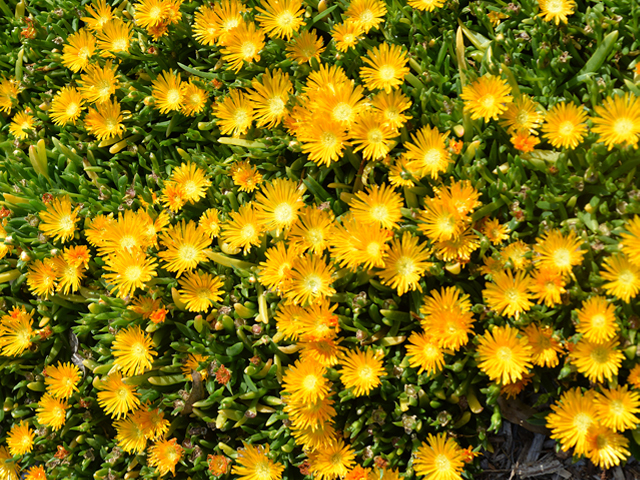 Flowers are yellow and sweetly perfumed, appearing in clusters throughout summer. With features in every season, you could call this one a yearly all-rounder too. 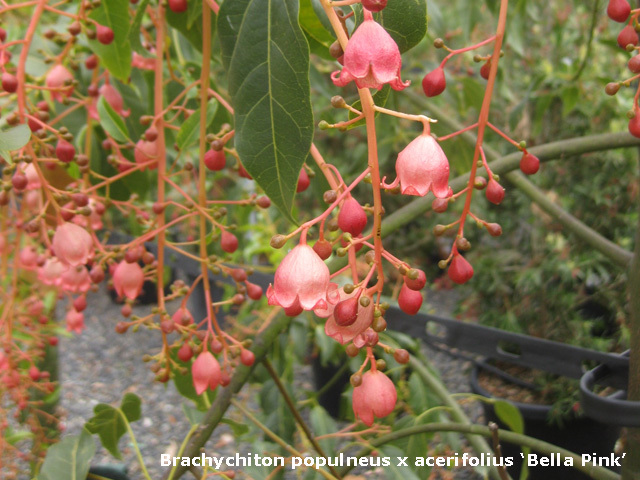 Summer stand-out | Brachychiton populneus x acerifolius ‘Bella Pink’ is a small to medium size shade tree with glossy foliage and pretty clusters of salmon pink bell-shaped flowers in the warmer months. It’s grafted, so more compact in size for domestic landscapes. Flowers are bird attracting. 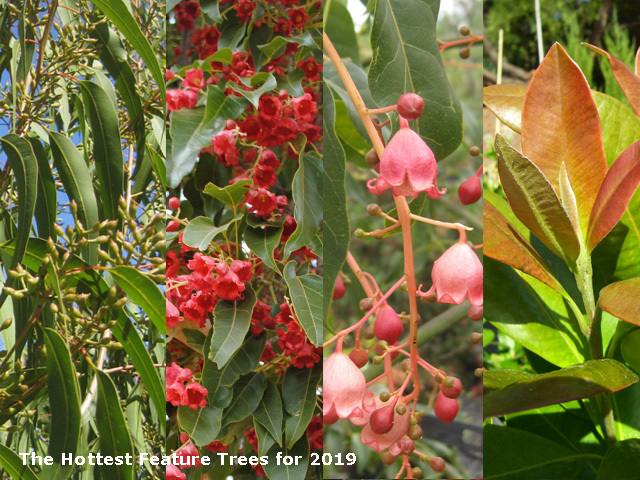 Summer stand-out | Brachychiton populneus x acerifolius ‘Jerilderie Red’ is an attractive, small growing, densely canopied tree with a distinctive bloated trunk and large lobed leaves. 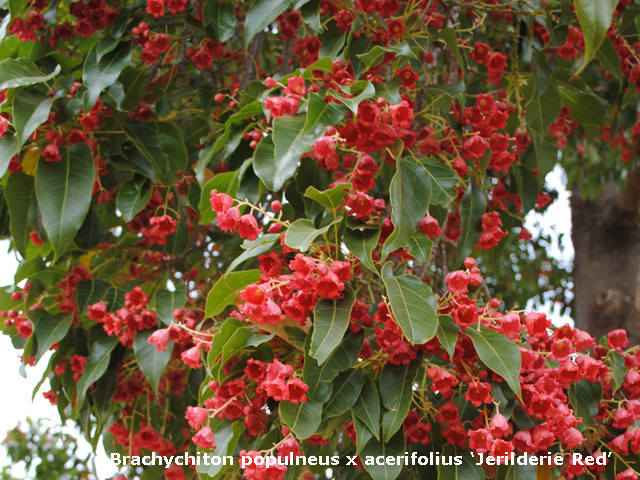 During the summer months the tree is solidly packed with stunning powdery-red flowers that are shaped like small bells. This one is also bird attracting. 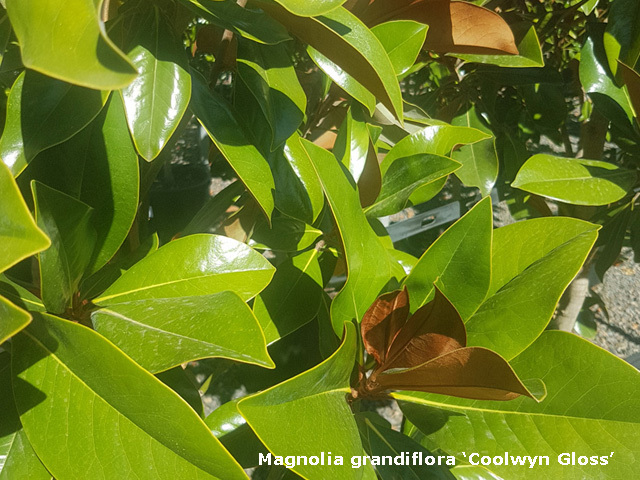 Summer stand-out | Magnolia grandiflora ‘Coolwyn Gloss’ is a glossy big-leafed feature tree that stands up to 10m tall. The velvety brown undersides of the leaves offer contrast and the white fragrant flowers are huge between November and March. It excels as an upright, flowering, evergreen feature tree. 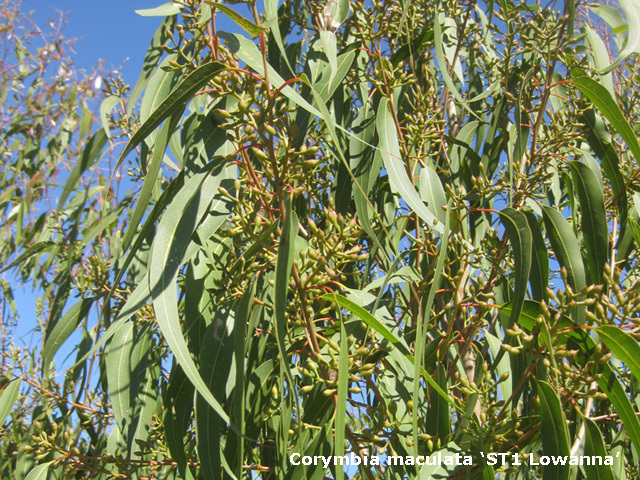 Yearly all-rounder | Corymbia maculata ‘ST1 Lowanna’ is a special grafted selection grown for improved density of foliage and compact height. It has the usual distinctive feature bark and cream and grey spotted trunk like its maculata parent, but its form is greatly improved for urban applications. 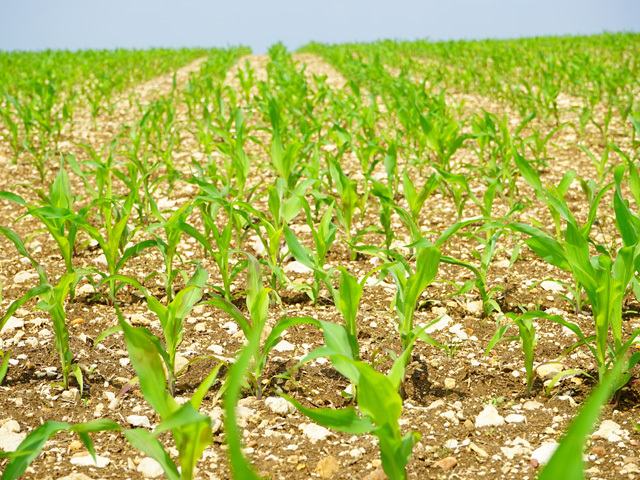 It has small white flowers that are noticeable but insignificant. 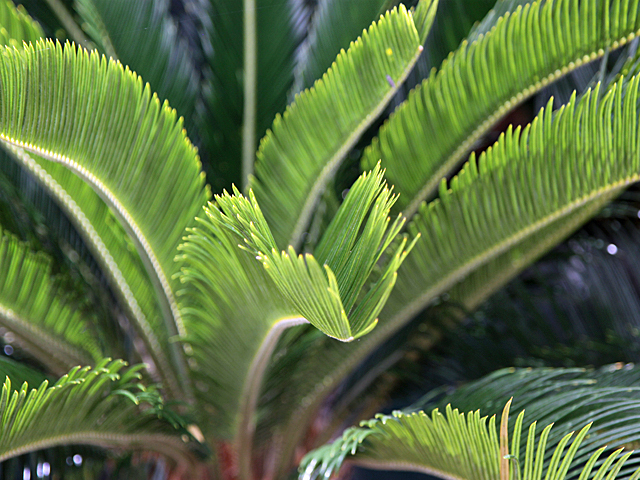 Grow this tree for tight branch structure and great foliage all year round. Great bark feature after 4-5 years! 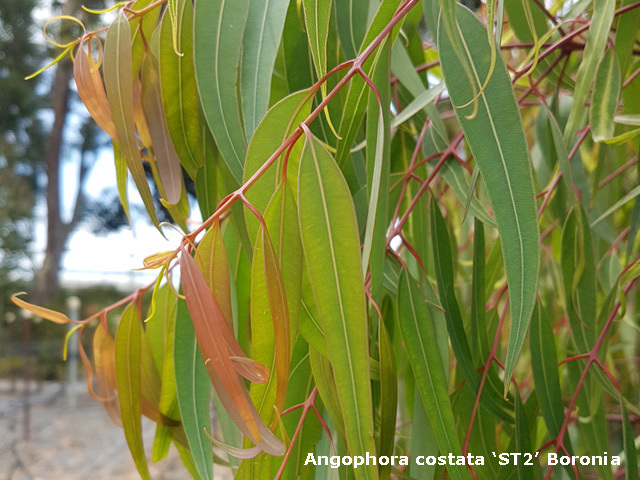 Yearly all-rounder | Angophora costata ‘ST2’ Boronia is another Aussie native loved for its smooth bark, which is slightly purple in colour, its large, twisted limbs and expanded trunk base. White flower clusters appear in spring, as does beautiful red new growth. Boronia is smaller in stature than the original, so far more suitable for urban landscapes. For more information about feature trees visit the Speciality Trees website.